Former Senator Teofisto Guingona made a statement today on freeing ex-president Joseph Estrada. 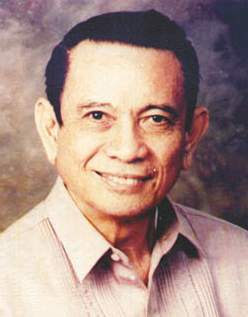 During the impeachment days of Erap, Guingona is one of the front-runners that ousted Erap. For me, Guingona and the “balimbing” senators have lost their credibility and dignity. It made me smirk hearing from Guingona that he hasn’t lost his principles with this statement. Hahaha. Really now!?! You want to free him because you feel like he has suffered a lot? As easy as that? What about the convicts that killed people and has been jailed for six years, would you let them go as well? Be reminded that Erap’s case is plunder not jaywalking or littering. Let the Sandiganbayan decide on this matter. Your statement just added a stain on your reputation. he's definitely a balimbing. I had high regard to Tito Guingona before but he's recent antics made him no different with the likes of Jinggoy, Jamby, Lapid and the likes. Such terrible trapos! Or maybe he's already suffering from parkinson's.. . or maybe a sign of second-childhood? dapat sa mga balimbing i-bitay!! !